Rob and Grant discuss ‘The Big Goodbye’, Star Trek’s first ever episode in which the holodeck malfunctions and the crew are trapped within. Picard, Data, Beverly and Whalen(?!) are stuck in the world of Dixon Hill, and we finally get to know the holodeck plot device that Star Trek fans have enjoyed/reviled ever since. ‘Fiction expert’ Whalen justifies his role to Data and Picard. 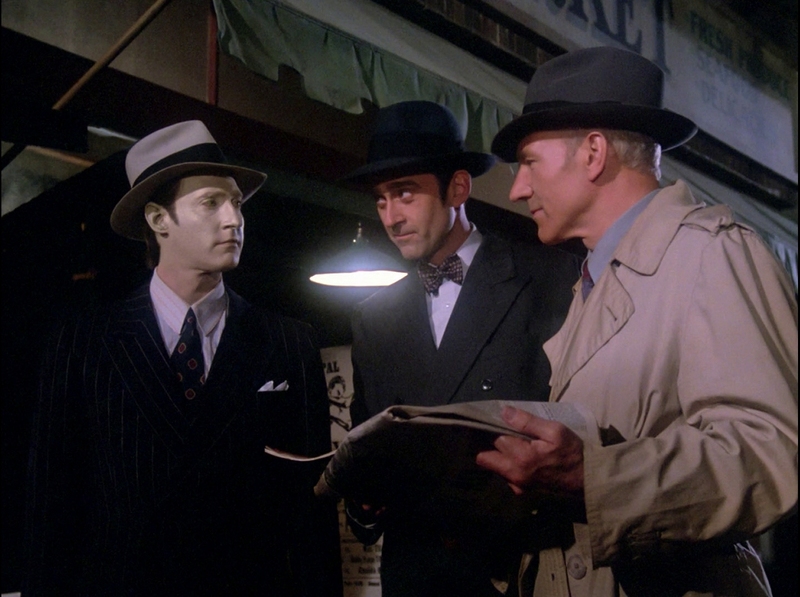 Posted in Season 1, TNGTagged 1930s, Beverly, Data, Dixon Hill, Fiction Expert Whalin, Gangsters, Holodeck, Picard, Safeties OffBookmark the permalink.